Operational Efficiency isn’t a term used much when you’re an InsurTech start-up. Their focus is customers, markets and their value proposition (and, most importantly, making sales). But when you are an incumbent insurer, operational efficiency is written with indelible ink on the strategic agenda. Tackling the massive expense of running an insurance business is one leg of the 3-legged stool that is profitability; the other two legs being premium income and underwriting performance. All three legs come with their own unique challenges. Pricing in competitive and soft markets trends downwards. Underwriting performance is a guessing game subject to external factors you can’t control. Which means that transforming your own cost base is arguably the easier of the three challenges. But “easier” isn’t the same as “easy”. The legacy burden of old world tech, cumbersome workflows and a heavy dependence on human effort was built for the long term. Taking it out was never going to be easy. This was a subject I discussed with Martin Pluschke in this article for InsurTech Insights last year. For every US dollar of premium, 20 cents (Author’s update 11th June 2018 – see note at the bottom of this post regarding Lemonade’s reason for changing the 20% flat fee to 25%) pays the running costs and the remaining 80 cents goes into the risk pool. The Lemonade business model sets this this split in stone because they have cleverly separated the cost of operations from the risk pool. This separation of expenses and pay-out means that Lemonade does not profit from the non-payment of claims. Any surplus in the risk pool is not returned as profit or used to subsidise inefficient operations (as it is in the traditional model). Instead it is given to the chosen charities of their customers through the Giveback scheme. Lemonade quite deliberately removed the conflict of interest where insurers profit from the non-payment of claims. In their model there is no place for claims optimisation – read the excellent Duncan Minty’s post on this subject here. Thanks to Lemonade, the benchmark for digital operations is now 20%; significantly better than the norm for incumbent insurers. Go here for the latest Transparency Chronicles where Lemonade open their kimono on the performance. Or, here for my latest discussion with CEO Daniel Schreiber. It was inevitable that others would follow Lemonade’s lead. Last November I spoke with Christian Wiens, the co-founder and CEO of Getsafe. They had just announced their strategic partnership with Munich Re to provide a membership scheme and a universal policy for Life, Non-Life and Health coverage. On this subject of cost of operations, Christian told me; “Our platform fee is 20% of the Written Premium for our Non-life products. For Life and Health they will be lower. A big part of being able to significantly reduce the cost of operation is down to our setup with Munich Re. We’ve been able to shorten the whole insurance value chain. Of course, for both Lemonade and Getsafe, they’ve not got the scale, complexity or legacy of an incumbent. Only time will tell if they can sustain profitable cost of operations at the 20% level. My sense is that they can, they will and it will go down, not up, over time. And when that time comes, I’ll be waiting to hoist a very good single malt scotch to their success and the silence from the old guard naysayers. As I said at the start of this article, the terms ‘operational efficiency’ and ‘InsurTech start-up’ are rarely used in the same sentence. The vernacular is different at both ends of the business maturity curve. But that doesn’t mean that Allianz, with around 140,000 employees, can’t learn something from ZhongAn, who have less than 2,000. And whether the incumbents can achieve the 20% bar for cost of operations or not isn’t the point (not yet anyway). When you’re turning the proverbial oil tanker, pretending to be a speedboat isn’t going to work. The goal for the executives setting the operational efficiency agenda is about transformation and adaptation. 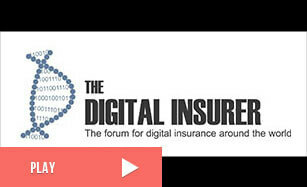 Adjusting to a digital agenda that has shifted the focus from the insurance product to the insurance customer. 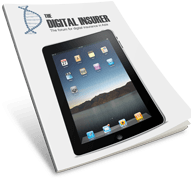 Below I list the 5 ways in which InsurTech can influence the operational efficiency agenda for the incumbents. Insurance is still a largely manual business with lots of handoffs, duplication and reliance on human decision-making. The big trend towards automation and artificial intelligence is all about moving the heavy lifting to the machine. Using human talent only for those activities where humans still do it better than machines. This covers all areas of the insurance value chain from customer service via chatbots to enhanced underwriting to automated and instant claims settlements. Spixii – Chatbot technology for the insurance industry. Read about Zurich’s new Chatbot using Spixii here. Shift Technology – using AI for enhanced fraud detection to complement not replace human effort. ZhongAn – 99% of their pricing, underwriting and claims operations are automated! ZhongAn are the global leaders of InsurTech. Much of the operational efficiency agenda is aimed at the legacy systems that hold back incumbent insurers. These are the policy administration and claims management systems that constrain the transformation of out-dated processes and organisational structures. In the InsurTech new world order, the solution is to build new customer propositions onto agile and fit-for-purpose cloud based platforms. Or to work with the likes of Pega to build a bridge between old world and new world systems to overcome the constraints (read about Pega in my article on Legacy here). The issue for incumbents with legacy is more than just an operational efficiency one. It is also a speed to market one. Internal IT is always going to be on the critical path when launching new products. Which is why the new operating model for incumbents is to ring fence the legacy and launch new products on digital platforms that can be configured and live in a fraction of the time. Trov – the leading platform in on-demand and micro-event insurance (read more here). Insly – a platform for brokers and MGAs, and one of the first InsurTech start-ups I wrote about in 2015! The biggest frustration for customers is when they notify the insurer of their loss and then wait. And wait. (As I write this article, I am still waiting on a simple and straight-forward Home claim that’s been with the handler for over 3 weeks and nothing but silence). This frustration is reflected in call centre stats that show around 50% of all calls are from customers wanting to know the status of their claim. The issue is that the claims handling process is often inefficient and ineffective within a context of mistrust. The excess is one way around it, avoiding the smallest claims for the insurer to handle. But that’s a reflection of the insurers lack of operational efficiency more than providing a value-add for the customer. (Which is why the InsurTech model is to remove excess limits – see Lemonade again). In the InsurTech new world order, the approach is self-service. Giving the customer an element of control of the customer service engagement. Using the InsurTech platforms, customers upload relevant evidence and answer the chatbot’s questions about the loss. This is a win-win scenario because insurers reduce their costs whilst improving customer satisfaction levels. Last month’s InsurTech Insights focused on how InsurTech has made the customer experience simpler. In the article I quoted Rightindem stats that report a 3x faster turnaround rate for paying claims from 21 days to 7. And anyone in claims will know that the time is one of the biggest cost escalation factors. Rightindem – an automated, AI driven self service claims management platform (more here). 360Globalnet – industrial strength self service claims management platform (more here). Insurers and actuaries are not doing everything they could with the data they have, or have available to them if only they looked. This is not just my opinion. When I spoke with CEO Dror Katzav of Atidot, this is what he told me, “Insurers look at data from a statistical perspective and miss out on the insights and perspectives that can be seen from different points of view. The traditional modelling tools that are still being used today are cumbersome, difficult to re-model and rely heavily on manual effort. With new sources of data now available, these tools are simply inadequate to handle them. Blockchain will become the norm in the same way that the Internet and cloud computing now are. My guess is that we are 3 years away from getting there. And the insurance sector will benefit greatly from blockchain/DLT. IMHO, this will impact the wholesale and reinsurance markets first. This is where there is the most friction from multiple parties that all replicate and duplicate effort to an absurd level. This is an analogue business operating in a digital world. Take Lloyd’s of London. The spiritual, if no longer the No1 insurance centre of the world. For centuries, Lloyd’s USP was proximity. The co-location of all parties no more than 15 minutes away from each other. What a great way to do business…in the 17th century! But in the global markets of today, digital proximity is not limited by physical location. The ability to transact complex business is a 24/7, global and digital necessity. As blockchain goes mainstream, it will have a significant impact on the cost base for insurers, maybe even the 10x impact that would make it a truly disruptive technology. Let’s wait and see on that one! ChainThat – blockchain development house for the insurance industry. R3 – the financial services DLT. Read here about their partnership with ChainThat. As a start-up, Lemonade are in the early stages of building their business, which means their expense ratio reflects high initial costs and short term lack of scale. Because Lemonade have a unique model that separates cost of operation and profit from claims settlement, I know that the New York regulator has had some difficulty in aligning the Lemonade model to the conventional method of reporting. Therefore, after discussions with the regulator, Lemonade increased the flat fee from 20% to 25% amongst a number of other technical accounting adjustments. These adjustments will have no adverse customer impact and the giveback mechanism remains unchanged. Even with this increase to the flat fee, Lemonade are still reporting an expense ratio below the norm for the US home insurance market, which currently runs around 29%. And remember, Lemonade’s 25% expense ratio includes their profit margin. It is also worth noting the massive productivity differences between Lemonade and the US incumbents. In terms of numbers of customers per employee, the norm in the US is circa 500, whereas Lemonade are currently operating at 1800 customers/employee. Quality of service is better with Lemonade too, who measure NPS at around 70, compared to an industry norm somewhere around 5-10. Finally, in the key measure of customer effectiveness, Lemonade are paying claims within hours of FNOL, not days and weeks as measured by the incumbents. Rick Huckstep is Chairman of The Digital Insurer, Keynote Speaker, a Top10 InsurTech social media influencer and Investor.